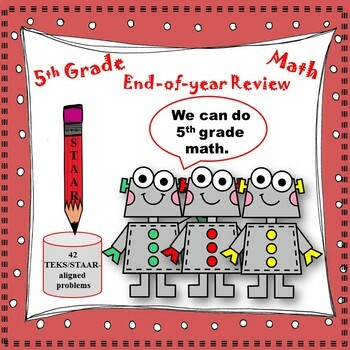 This product will greatly supplement your math curriculum as a means to review for your end-of-the-year standardized test. It is aligned to Texas math curriculum. However, teachers from other states can use it as well as Texas math is comparable to Common Core. Use it as you feel necessary--quiz, math station, mini-lesson, homework, etc. Parents, if you school your child at home or if you simply want to help your child review, you, too, can download and use my product. 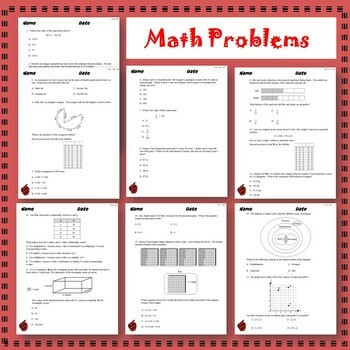 In addition, I have included an exemplar for each of the 42 problems I have provided. An exemplar is more than an answer key. 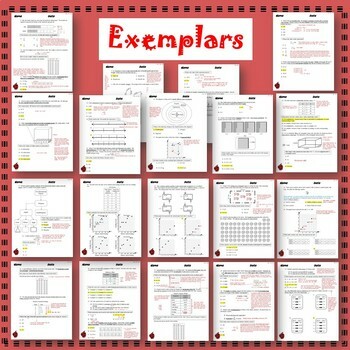 It provides problem solving suggestions to help you compare the exemplar against your student's answers. It will allow you see their problem solving skills and thinking to help you reteach if necessary.